In this paper a new method for ball recognition in soccer images is proposed. It combines Circular Hough Transform and Scale Invariant Feature Transform to recognize the ball in each acquired frame. The method is invariant to image scale, rotation, affine distortion, noise and changes in illumination. Compared with classical supervised approaches, it is not necessary to build different positive training sets to properly manage the great variance in ball appearances. Moreover, it does not require the construction of negative training sets that, in a context as soccer matches where many no-ball examples can be found, it can be a tedious and long work. 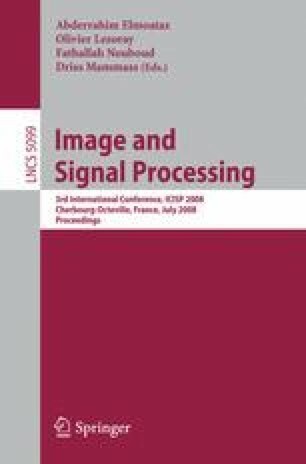 The proposed approach has been tested on a number of image sequences acquired during real matches of the Italian Soccer “Serie A” championship. Experimental results demonstrate a satisfactory capability of the proposed approach to recognize the ball.